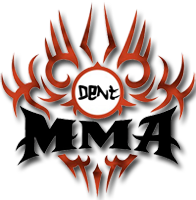 MMA-Torrents.com Forum • View topic - Seeding, ratio, private tracker... how does it work? Post subject: Seeding, ratio, private tracker... how does it work? A lot of people seem to have questions regarding the concepts of ratio and seeding. Here is an attempt to give you some more information. When we talk about ratio and "keeping your ratio up", what does it mean? RATIO is the indicator of your downloaded and uploaded amount. The ratio number is calculated by dividing the amount of GB you download with the amount you upload. If you download 10 GB and upload 5 GB your ratio will be 0.5 because you have uploaded half of what you downloaded. If you download 10 GB and upload 10 GB your ratio will be 1.0 because you have uploaded same as what you downloaded. If you download 10 GB and upload 20 GB your ratio will be 2.0 because you have uploaded double of what you downloaded. We have a rule that says: "You must always keep your overall ratio over 0.4, preferably over 0.6, and ideally over 1.0". This means that you must not allow your ratio to drop below 0.4. Because if it drops below you have 2 weeks to get it up again or your account will be auto-disabled. You always get a warning about this in Pivate Message on the tracker 2 weeks before it happens. Always read all your PM's so you don't miss any warnings or important information. If you have donated and you are MMAVIP you will not get the warning and you will not be autodisabled when your ratio drops under 0.4. But if your VIP runs out and your ratio is under 0.4 when it does you will get the warning and after 14 days your account, unless you improve the ratio or become VIP again, will be disabled by the system. Simple answer: Without this rule nobody would allow anybody else to download anything and we would not be a community. People would download and turn off their torrent clients not allowing anybody else to download. With this rule we make sure that we ALL help with distributing new material, and most try to keep it alive for as long as possible. This is the base of the whole community, that is why it is so important! Please understand that by keeping a torrent active in your torrent client for as long as possible you help the community and make sure it can continue to exist and grow, just like you do when you donate. That is why it is important to NOT turn off the torrent client after a finished download and not delete files from it unless you have to. Often members find an older torrent they would like to download, and get irritated or sad that there are "no seeders", but it often turns out that they are not seeding any older files themselves. If you are not seeding the files you downloaded last year now, how can you expect anybody else to do so? You must lead with good example and keep the torrents you download active, doing so will encourage others to do same! Apart from seeding everything you download for as long as possible there are a lot of "tricks" and strategies to help you maintain your account active without getting auto-disabled for "low ratio". You can of course donate to get a ratioboost. You can upload new torrents. You can reseed unseeded older torrents with leechers by adding seed if you have the material on your hdd. You can download freeleech torrents. You can get a seedbox, a dedicated computer/server with a torrent client in a high speed data center. The best way is to get new torrents early, make sure you dont limit upload speed, and keep the torrent active in your torrent client for as long as possible. The more popular the torrent is the better for you if you got it early. And if its freeleech its just better because only uploaded amount will count.